“Build a good business, and success will follow.” – Were you thinking THIS? Stop, because this is 2015, and this notion isn’t going to take you anywhere. Obscurity has to be warded off with some great, robust marketing strategies, often with a business website pushed toward visibility via Search Engine Optimisation. Now, did you know that Social Media is in the mainstream? Every search marketer is feeding on it to invite quality traffic on websites. But, what about those small business that fail to gather a high fidelity marketing team? How would they carry out promotional tasks in simple, inexpensive ways? How would they popularise merchandise and services? And make their lead generation strategies bear fruit? 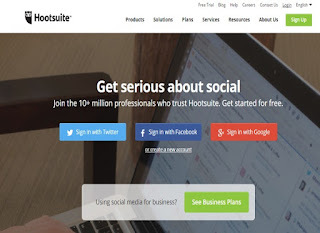 Hootsuite is filthy famous as the ultimate social media management tool for brand management. It surfaced in the year 2008 and has since then, become an integral part of every social media marketer. What makes it popular is its UI, which supports a host of social media platforms, ranging from Twitter, to Facebook, Google+, LinkedIn, Foursquare, MySpace, WordPress, Mixi and TrendSpottr. Also, when additional integrations are enabled, Hootsuite supports Instagram, MailChimp, Storify, Reddit, Vimeo, Tumblr and YouTube, too! Nimble is crowned as the #1 CRM by Software Excellence Award, Nimble is a novel and powerful web-based program armored with engagement tools, social listening, and mobile app. “Nimble is a relationship platform powered by context. We are laser-focused on helping you surface information that matters to your business,” speaks the website. The software has some amazing features like contact management, contact insights, social listening, unified keys, and activity management – all important for business needs. Discover.ly says, “Put social to work.” It lets a user view the social sites associated with his email connections and even cross-refers other such sites as he browses through. For instance, if he is online on LinkedIn and viewing someone’s profile, Discover.ly will let him view the mutual connection with this person on other platforms like Facebook and Twitter. This feature is of great use in business because it lets a user connect to different people via mutual connections and references. Mention is like Google Alerts; only, better. It will crawl the web in search of key terms, competitors and content. The software also ransacks social media networks for fed key terms and comes up with real-time results. How is Mention useful for business? Well, it alerts trade owners and local search marketers whenever their keywords or key phrases of interest are mentioned. A subsequent conversation is then encouraged amongst social media managers, which is like a silent promotion of your brand. Studio is a designing app especially meant for photo-based social networking. In many ways, it complements Instagram. With this app, you can add text-based designs to your photos. Another amazing feature is that it lets you take someone else’s deigns and creations and mix it onto your own photos. “What Instagram did for photography, this app will do for design.” – Mashable. While most social networks are concerned with only consumption, Studio is a breather, for it focuses on creation and offers basic tools that let users come up with wonderful, layered designs. So, if you are running a photography business or looking stand among the huge crowd as a brand then I am sure you will not like to miss this social management tool. Another amazing tool for marketing visual content is Viraltag. 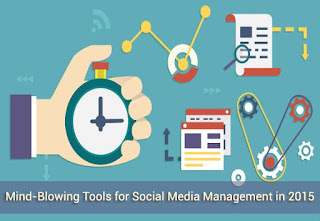 It’s a time saver and allows traffic to flow in from multiple social rostrums in such one click. “Increase user engagement by publishing engaging visual content to your social networks, content networks and blogs,” says the platform. 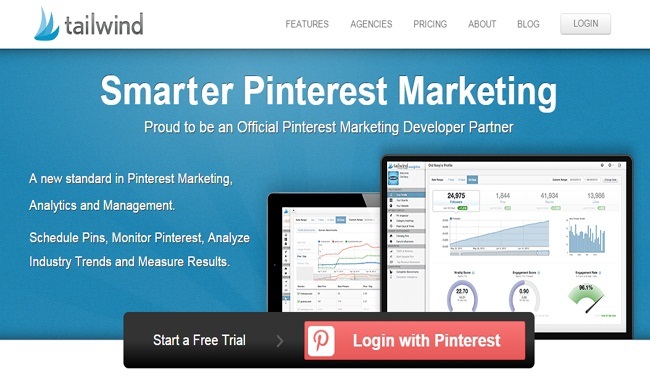 What makes the software stand out from the crowd is its unique feature of enabling Pin scheduling on Pinterest. Because pinning photos is one of the most effective marketing trends of today, Viraltag has shown us a very easy and effortless way of visual content marketing. Zoho SalesIQ is a platform that tracks website visitors and lets you connect and interact with them in real time. It is bundled with some interesting features like an inbound and outbound language translator, intelligent triggers to group visitors based on the amount of time they spend on a website, or on what pages they visit, or even whether they are return visitors. “Convert Your Website Visitors into Customers,” says the platform. The website has a very user-friendly interface and makes interaction simple and less time-consuming. This platform has more than 2.6 million users worldwide, most of which include the big players like GE, American Express, PayPal, Richard Branson and other mighty brands. ManageFlitter is popular because of its unique features, which allow users to manage multiple social accounts. Time zones are a ‘no-restriction.’ The platform also has a feature called ‘PowerPost,’ which lets you schedule tweets as per your preference of timing. The feature will also allow you to sort photos on Instagram by likes, comments and recent posts. You can schedule pins and repins, pin content from other websites using the Tailwind hover button, view analytics to see how your profile is performing, schedule reminders, and even find pin suggestions! Great, no?